When I'm not working, I rock a red lipstick quite often as I am always told it suits me with the dark hair. The truth is I would probably always wear it but I find when I am working and talking to clients it quickly fades. 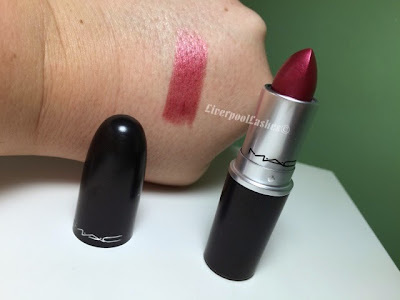 I have a couple of bright lipsticks and I seem to always buy new ones that are virtually the same shade so when I clapped eyes on MAC's lipstick in New York Apple, I was really excited. I would say that this colour is halfway between a bright red and a dark red. 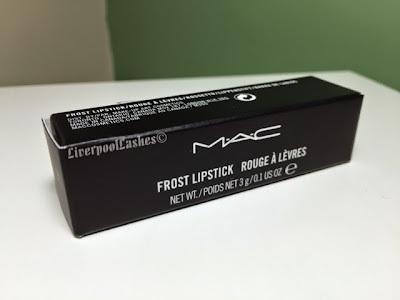 It has a frosted finish which isn't for everyone but does mean that it's more moisturising on the lips than other formulas. It depends on how you feel about frost finishes but I love the sheen that it gives to my lips, I feel like it's almost a hint of rose gold in it. 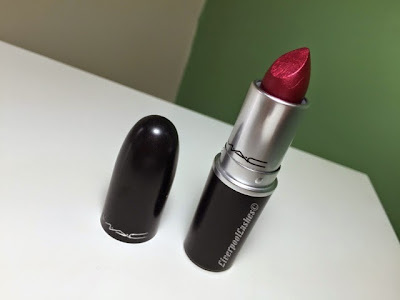 Mac is goo company and it has god product of it. Lipstick is best for in hence the beautiful of face and through this essay writing company we can use it to carry the many tips for make up. Try to use the best quality make up.